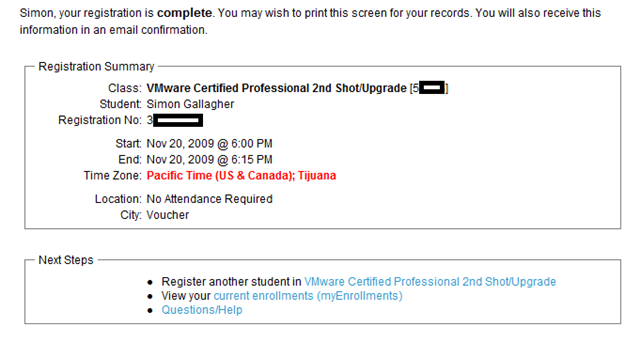 Also bear in mind there might be a bit of a rush – anyone else remember the NT4 MCSE –> one-shot Windows 2000 upgrade exam? there will be a lot of people in the same boat as you (and I!) and time is running out, this is especially a problem if you only have access to a limited number of testing centres where you live as they will be getting booked up. 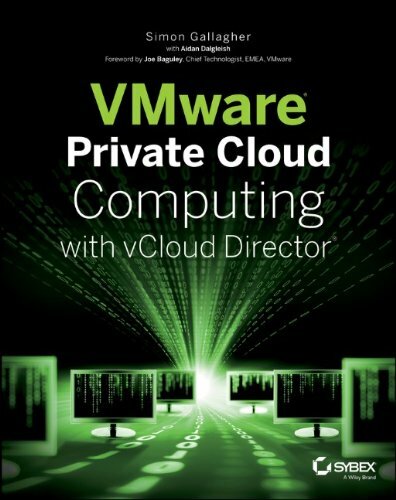 As some insurance VMware are also offering a free re-take at present; but there is a catch – you have to wait for a voucher to be emailed to you before you can book your exam with free re-take option – and it says the Friday following your registration – so bear this delay in mind if you want to take this option.